It has been a couple weeks since we were overwhelmed with support of people who love us and pray for us. Sometimes being overwhelmed is a good thing! Today however, I was again overwhelmed to tears! 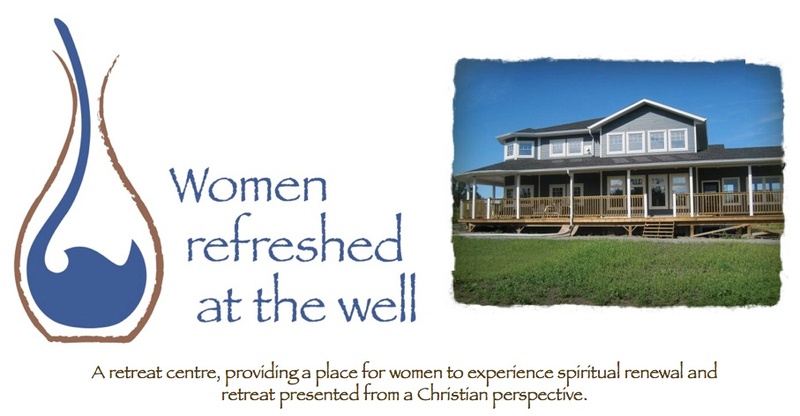 I went to the mailbox to get the mail and when I arrived home, I went through it and pulled out two letters that were self-addressed to Women Refreshed at the Well. (we had done this for the open house). I opened one of them first, and was sweetly blessed by the written note along with a substantial donation to the ministry. The words blessed us! They were an encouragement and affirmation of our call to this ministry. The writer penned "Our Prayer for you is that the promise of John 7: 37-39 will be fulfilled in a wonderful, abundant and continuous blessing to many." Then I opened the next envelope and once again I was overwhelmed to see another very substantial donation. So overwhelmed by the two - that I wept. Sometimes I will admit, I ask God if He is really sure that we are up to this! Sometimes I still have moments where I am overwhelmed by feeling inadequate. Sometimes I am overwhelmed at the enormity of what He has called us to do, or at the uncertainty of it all. Me ... the one who is a combination of "flying by the seat of my pants but wants my ducks in a row" type of woman. Me - the one who so often feels so unqualified for such a mission as what He has called us to do! We have been blessed again and again. Alvin came upstairs for coffee and I read him the note and showed him the cheques. He said, "just when we wonder where money will come from, we get a cheque in the mail." We (Alvin, my sweet husband and builder) are overwhelmed with thankfulness! Words are inadequate. But our hearts overflow!